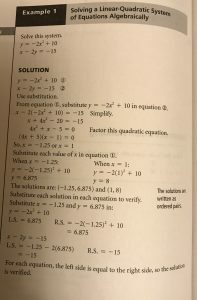 this week I learned about trigonometry, it’s including the angles and the side. The reference angle for all 4 angles is the acute angle that the terminal arm makes with the x-axis. 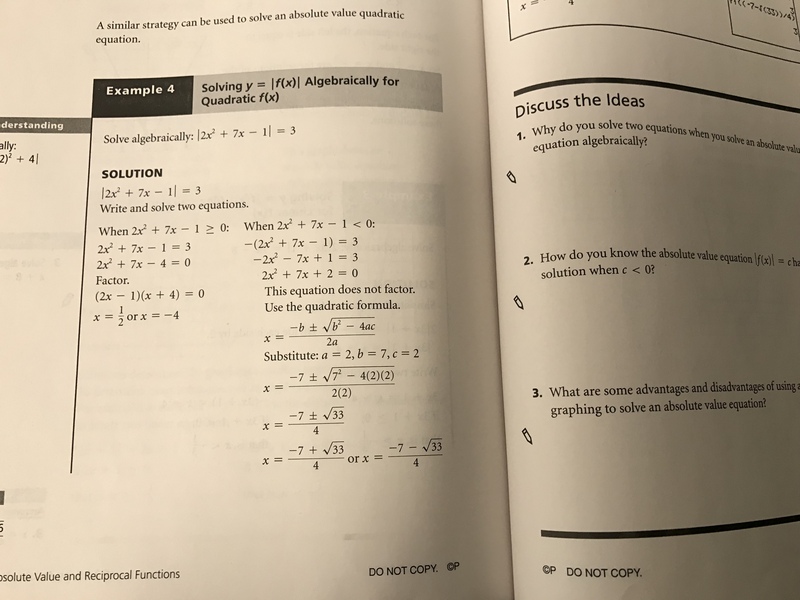 this week I learned about adding and subtracting rational expression with binomial and trinomial denominators, we need to simplify the function. 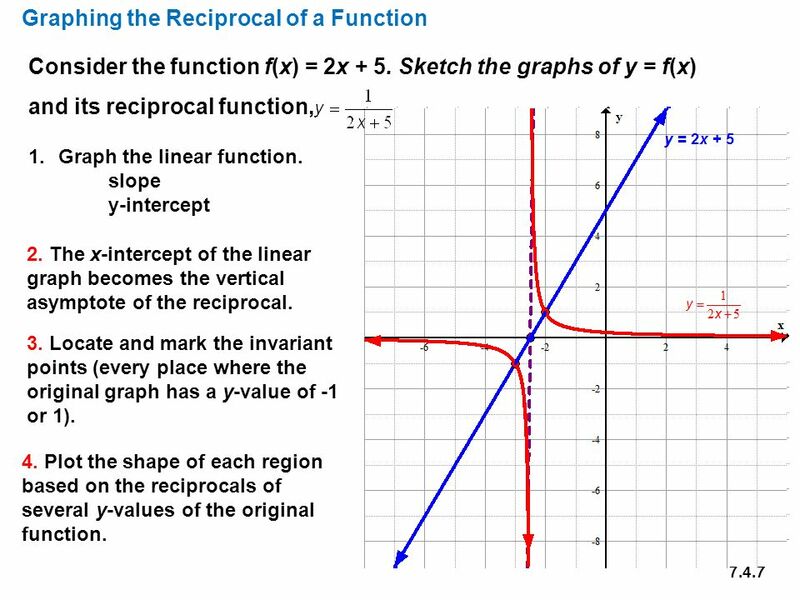 this week I learned about how to graphing reciprocals of quadratic functions. 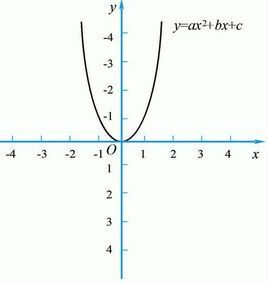 With one vertical asymptote and with two vertical asymptotes. 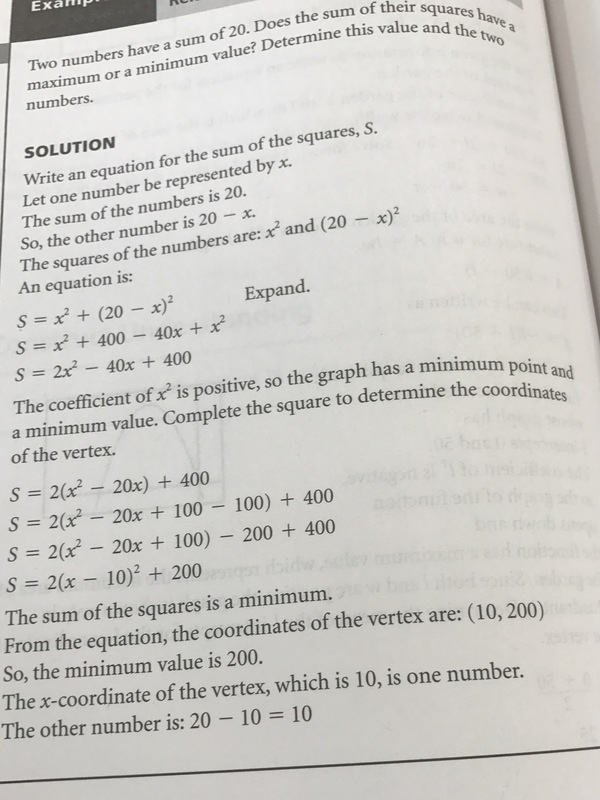 last week I learned about solving absolute value equations, we were solving by graphing. 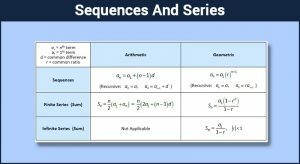 Graphically for algebraically linear and quadratic. 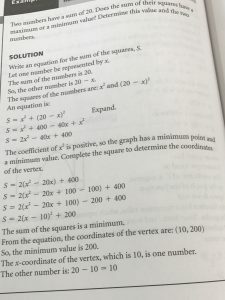 We need make a graphing to solve the equation. 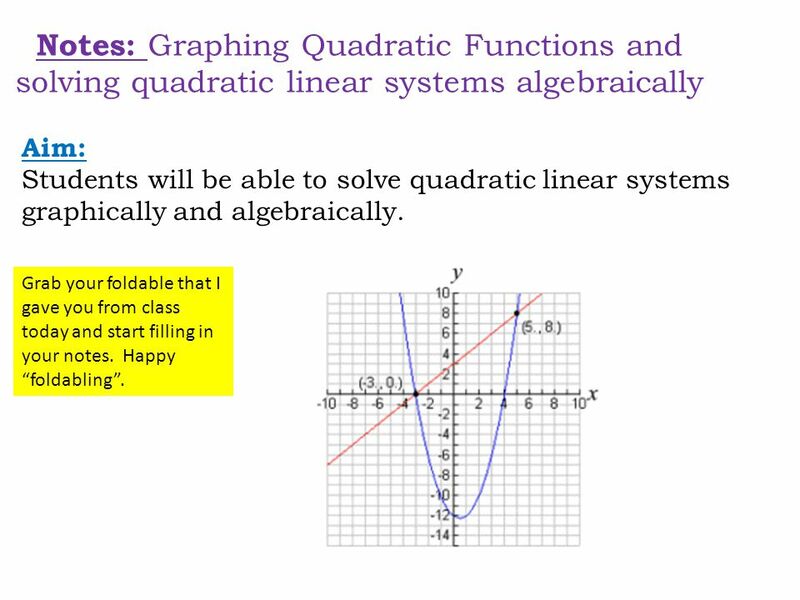 This week I learned about how to solving systems of equations graphically. 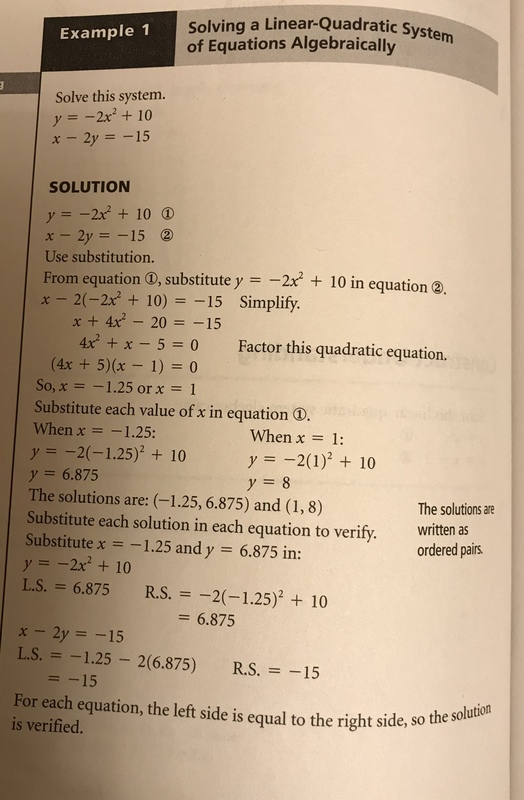 It’s mean when 2 or more equations are needed to find a solution. 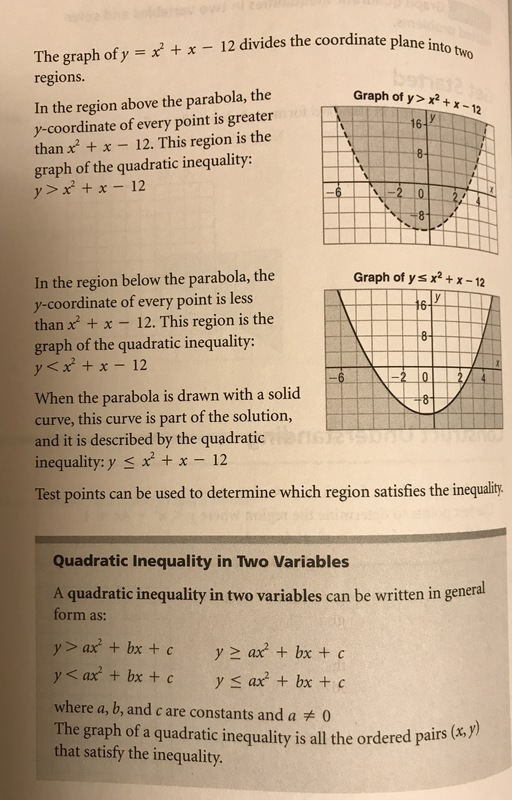 this week I learned about quadratic inequalities, this is brand new for me. 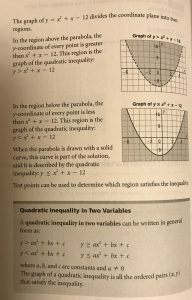 It has greater- than and less-than in inequality. 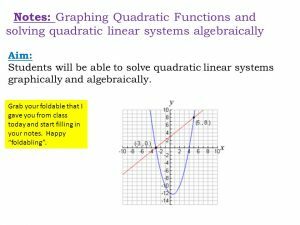 And how to graphing quadratic inequalities, ugly line and perfect line. And add (0,0) to find out which side is it. 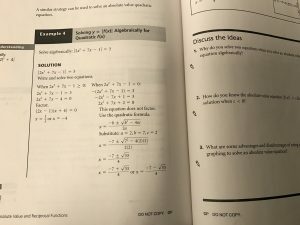 I didn’t learn anything this week，but I reviewed what I learned before. 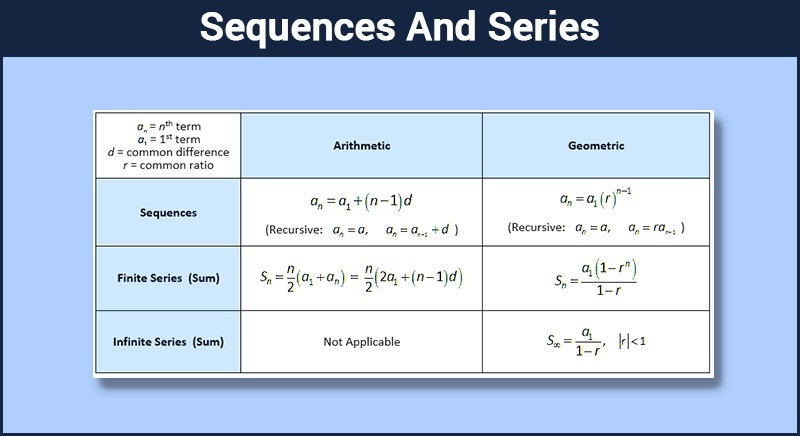 Such as Sequences and series, Absolute Value and Radicals and Quadratic equations, etc. 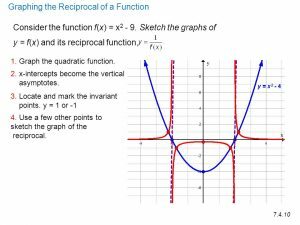 this week I learned about how to solving problems with Quadratic functions, some problems can be solved by writing, Then graphing a quadratic function. 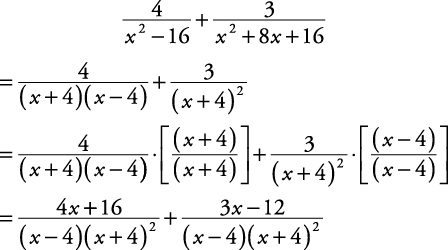 And determining maximum or minimum related to operations with numbers. And modeling a problem for maximizing profits. 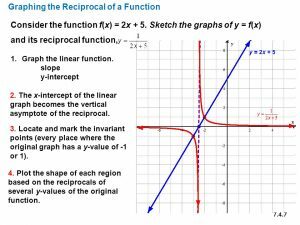 This week I learned about how to find out vertex, and how the graph looks like. 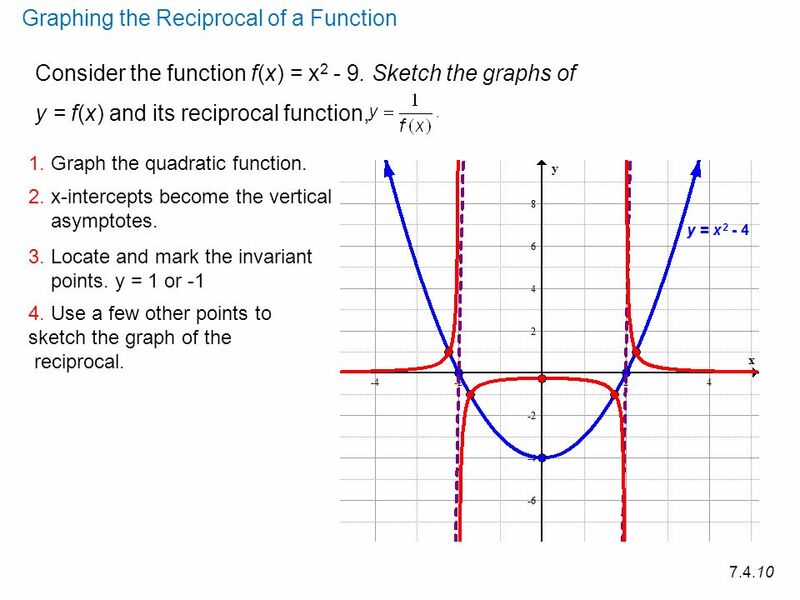 This week I have learned about the properties of quadratic function. And we learn it from its graph.